We all know that there isn't a whole lot of "good" that comes from the dreadful Winter season however, if there is one thing I look forward to, it is being cozy! I can't think of anything I enjoy more than bundling up in something soft; whether I'm out running errands, brunching with girlfriends, or even just cuddling up on the sofa, a poncho is always perfect to serving as my daily cozy factor. Check out these fabulous five finds and make sure to place your order before they are all sold out! Last week I had the pleasure of attending the Maison De LaCour fashion show in Millennium Park where Julius LaCour, creative director and designer behind the couture collection Maison De LaCour, showcased his Spring/Summer 2014 line as a part of the 9th annual Fashion Focus: Chicago’s FashionWeek. 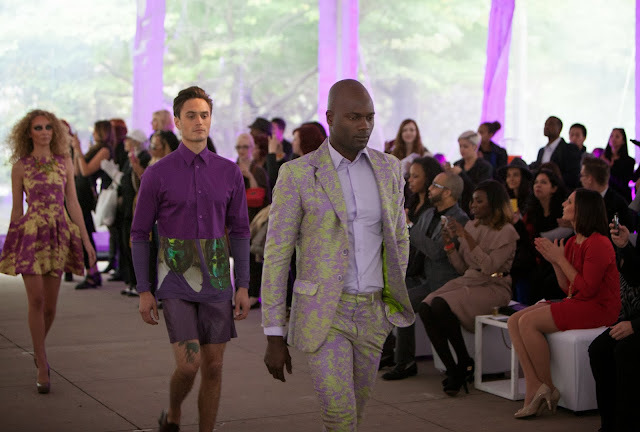 The Maison de LaCour show was presented by Michael Anthony Salon & Spa, Argo Tea and LUX MGT. 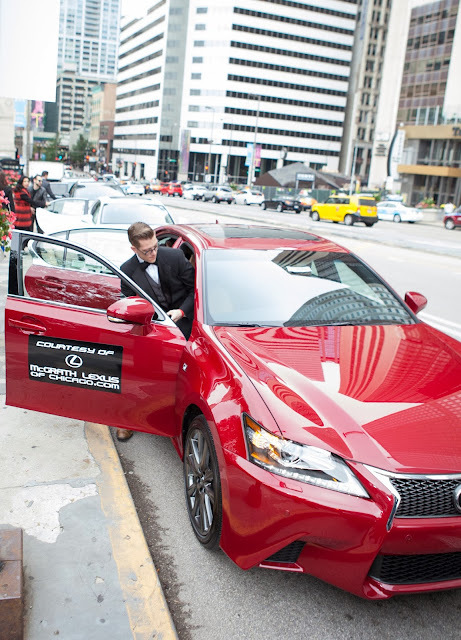 Following the presentation, McGrath Lexus of Chicago provided VIP guests with custom drive experiences by transporting them to the exclusive post-show luncheon at RM Champagne Salon. 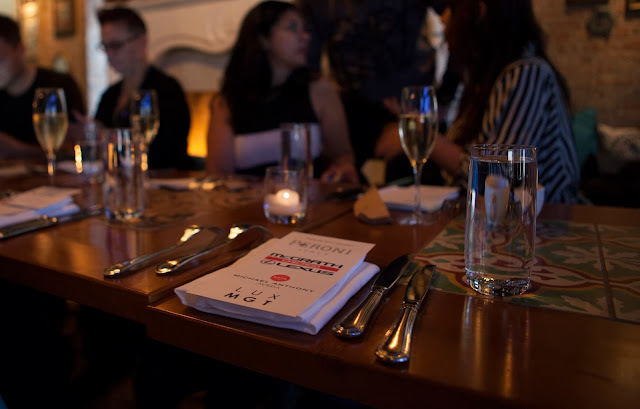 At the luncheon, guests enjoyed an array of menu items and champagne selections and previewed the Maison De LaCour Spring/Summer 2014 look book shoot video presentation. 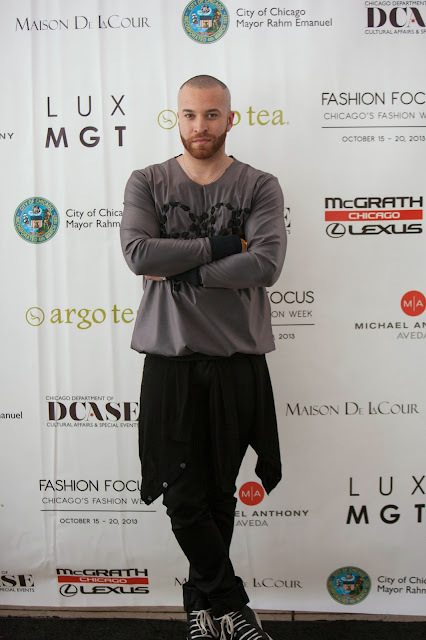 LaCour showcased his acclaimed couture line for the third consecutive year at Fashion Focus Chicago, with plans to relocate the brand to New York City in April 2014. This year’s annual Barley’s Angels event is co-hosted by DineAmic Group, Gilt City and CS Magazine, in support of Lolly’s Locks, a charity that connects high- quality wigs with cancer patients unable to afford them. The event is a female friendly beer tasting celebration of Oktoberfest and also aims to raise awareness of October’s Breast Cancer Awareness month. 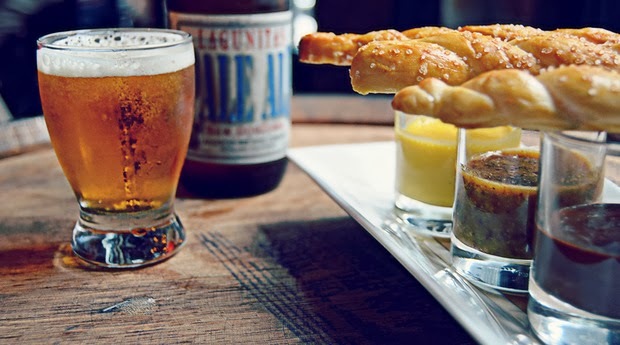 Guests will sample craft beers from various breweries and enjoy healthy bite samples. Between the sips and nibbles, he/she will meet-and-greet with cicerones and beverage specialists. While eating and drinking is great, guests will also be able to try their luck on raffle prizes from Luxury Garage Sale, Essie, PopSugar and Rent the Runway. And regardless of whether they win, the gift bag will be filled with goodies from KIND, exhale, Blowtique and Kiehl’s to name a few. We all know there is nothing I feel more strongly about than giving back, so come out for a Girls' Night Out that you won't want to miss and help celebrate for a terrific cause! 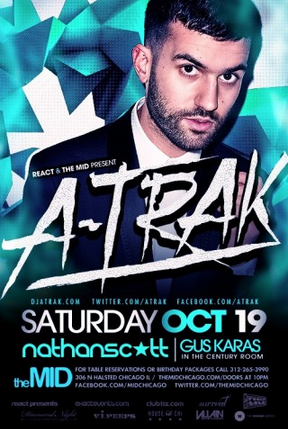 It's no secret that the entire adoptedSTYLE team loves a good jam, but there is nothing we are more excited about than to see A-Trak again this Saturday night at The MID! Not only are we fond of him for being the first DJ to win all there major DJ competitions, but we admire him for winning his first competition at the age of 15; something we respect and admire. My team will be jamming to him in the office all week long as we gear up for this weekend, and if you didn't get a chance to check him out during this year's North Coast Music Festival make sure to email us your best excuse as to why you missed it out on it at info@adoptedstyle.com for a chance to win a pair of tickets to Saturday night's show! Hailing from The Netherlands, Paul Baümer & Maarten Hoogstraten have fused their musical talents into the massive electronic dance duo Bingo Players. The two dutch DJs have created an international reputation through epic releases and a massive touring schedule. Bingo Players kicked off 2013 scoring a worldwide top ten hit with their single “Get Up (Rattle),” which was a #1 single in the UK two weeks in a row. This success came after the original version of “Rattle” shook up European charts for nine weeks during 2012. This was released on their own label, Hysteria Records, which also released their massive hits ”Cry (Just A Little)“ and most recently “Out Of My Mind.” When they are not releasing their own music, Bingo Players are releasing records from their favorite artists including Carl Trick‘s “Mad Dash,” Ralvero‘s “Rage” and Gregori Klosman‘s “Minibar. It's no secret that we all hate having to schlep around a giant bag all day because we know we will not have enough time to head back home before whatever is next on the agenda, so here are a few of my most recent finds that are basic enough to completely mix & match for any occasion. Do not be surprised if you catch me walking to work, out to brunch, doing errands, or at an event in any, or all, of the above this month! xoxo. We all know that sharing is caring, but what better way to share with your friends & family than with wine?! Last week I had the incredible opportunity to sit down with the amazing Bonfire Wines team to learn more about their products, taste each blend and meet their fascinating Founder + CEO, Eric Steigelman. Not only are these wines mouthwateringly delicious, but I cannot get enough of their concept, their design and how uncomplicated they made it for all of us! 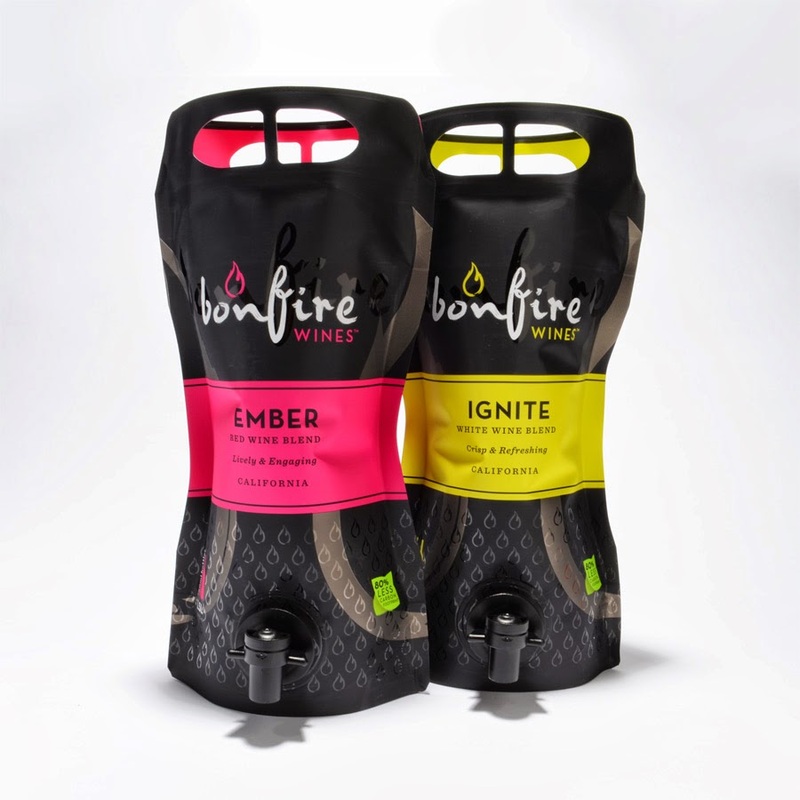 To put it simply, Bonfire Wines is a purveyor of wine sold in innovative, mobile packaging. 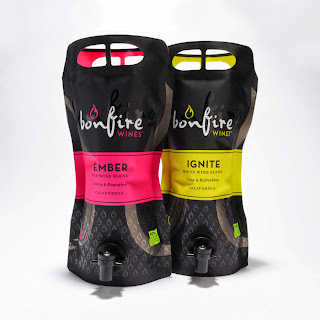 The company’s signature blends, Ember and Ignite (shown below), are available exclusively in highly sustainable packaging that uses fewer raw materials, produces less Greenhouse Gas Emissions, were designed to be easily transportable and also chill up to 65% quicker than the typical glass wine bottle that most of us are accustomed to. Bonfire wines has also made it incredibly easy for us Millenials, who may not know as much about wine as we would like to think we do, to pair with food. Both flavors contain detailed listings for what certified wine judge, Kevin Mcguire, would personally recommend such as: grilled tilapia, chocolate covered strawberries, and BBQ. Here are a couple of recipes to get you started, and don't fret that each recipe whips up larger sized servings because you will definitely want leftovers since once Bonfire Wines are opened they last up to 4 weeks! Say goodbye to throwing out wine after just a couple of days and watch out for the spark coming soon to a store near you! Bonfire wines will soon be available for $15.99 to $16.99 in Chicago Whole Foods stores as well as other local retailers. I think we can all agree that we are in love with Kyle Richards' infamous emerald earrings, so I just couldn't help but share the other emerald gems I found this morning while working on accessories for next Thursday night's fashion show. The bonus...they are all under $100! Happy Friday from me to you! xoxo.